With all the obvious South East Asia destinations ticked off the list, I'm all about seeking out the lesser-known options now. If you dare to go a little more 'off-piste', you can often end up in a city double the charm and half the crowds. If Chiang Mai is Thailand's famous Plan A, then its sister Chiang Rai most definitely its lesser-known Plan B. I got to spend one full day in Chiang Rai as part of our partnership with Travel Hub Chiang Mai during our South East Asia adventure which took me through Singapore, Malaysia, Thailand, Cambodia, and Vietnam. I immediately fell in love with Chiang Rai, so much that I wanted to dedicate an entire blog post to it. So here's my 12 hours guide from Chiang Mai to Chiang Rai. The drive from Chiang Mai to Chiang Rai is definitely a scenic one with rolling hills, streams of crystal clear water flowing alongside the road, and the trees speckled in bright yellow, cadmium red, and emerald greens. This Northern Thailand delight felt like as if it was Autumn. If you aren't in a hurry, there are some great places to stop along the way. 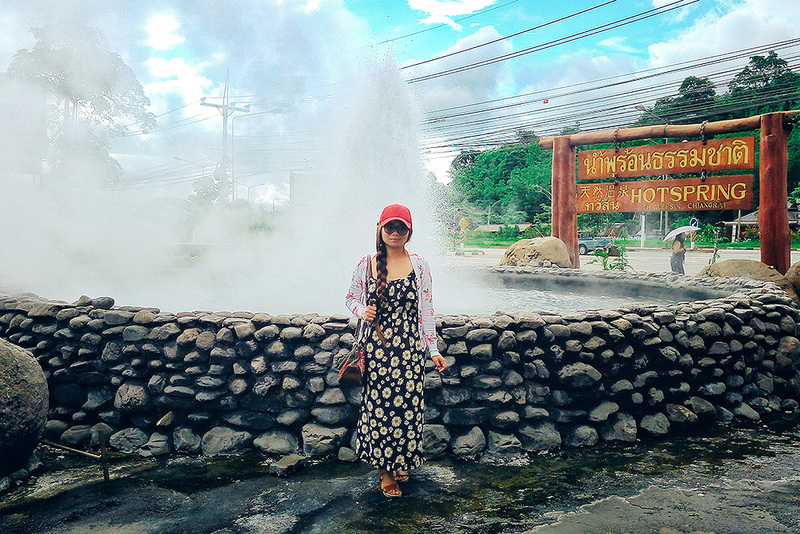 The Mae Khajaan Hot Springs was located about halfway between Chiang Mai to Chiang Rai making it the perfect spot to stop and stretch your legs, grab something to eat, and dip your feet in the hot spring pools. The waters of Mae Khajan Hot Springs were really scalding, so we dip our feet little by little until we adapted to the heat and our feet was fully submerged. It was surprisingly soothing and as we're done, our feet was surprisingly smooth like a baby's skin. 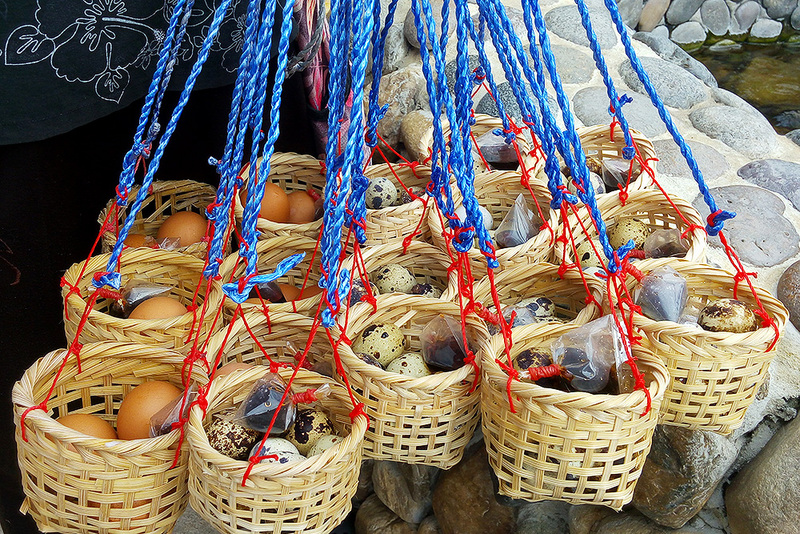 There are locals selling chicken eggs that you can boil in the hot springs yourselves. We wanted to do something with elephants, but we were afraid of something which perpetuates the misery. Elephants are so often put through for the public's benefit without taking into consideration the welfare of these gentle giants. 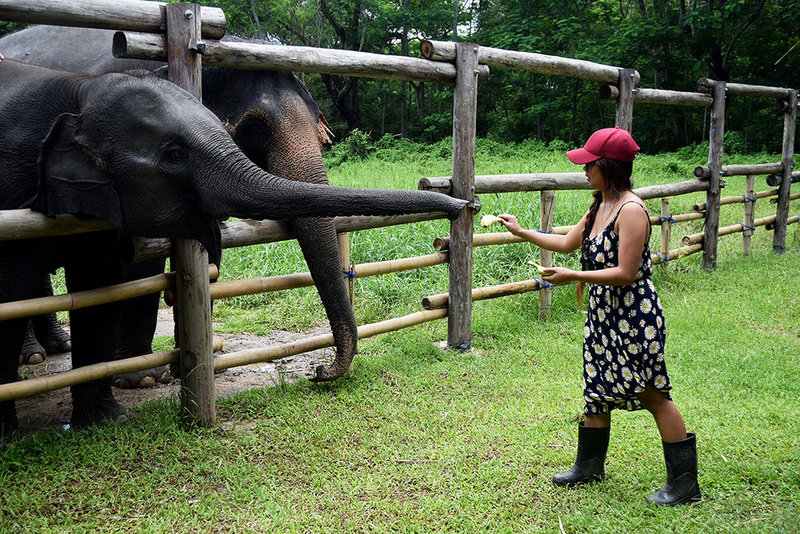 Elephant Valley Chiang Rai is an Elephant Sanctuary true to its name. They seek to remove elephants from performing for public's entertainment, or doing hard manual labour. 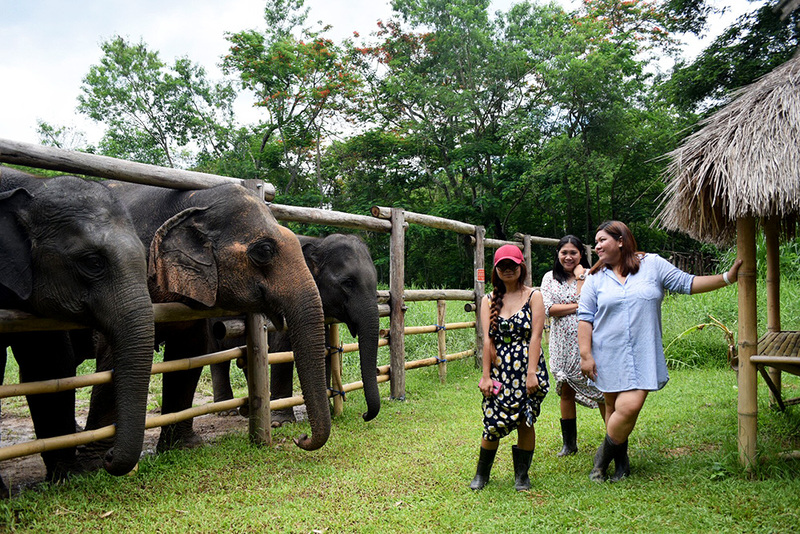 This is the first of hopefully many places that will provide a safe sanctuary for elephants. Everyone (including the elephants) seems really happy and laid back. It was so entertaining watching the elephants just by themselves. This is an excellent place, with great values and worthy of support. 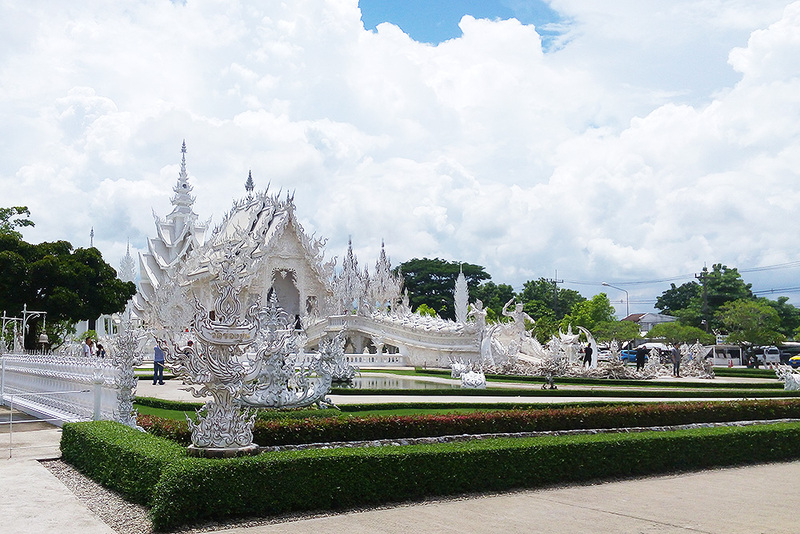 Wat Rong Khun, also known by most foreigners as the White Temple, was the number one priority on our list. I think its safe to say this is the biggest draw to Chiang Rai for most tourists. Even if you are getting a little "templed out", this temple is like no other and is absolutely a must-see if you are in the area. The architecture and landscaping are stunning. Some people claim to spend hours at the temple, but about 40 minutes was plenty for us to do a walk through, snap some photos and take in the beauty of it all. 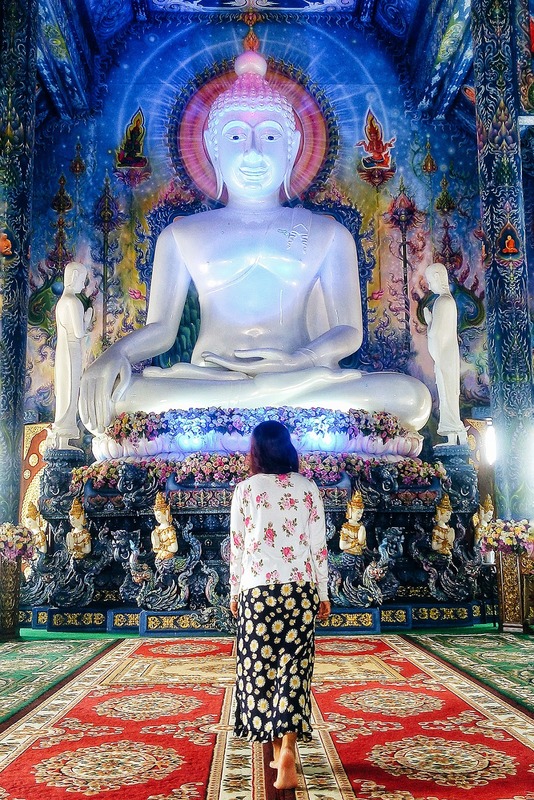 If you are heading to Chiang Rai from Chiang Mai, its located about 10-15 kilos off Route 1 before you get into town so you might want to make a stop on your way in if you are driving yourself. The Wat Rong Sear Tan, fondly called the Blue Temple is absolutely stunning. Travel Hub Chiang Mai, took us to the Blue Temple and it was a wonderful addition on our trip. It only takes a few minutes to take in all its beauty. Unlike anything else in Thailand it was extremely unique as the White Temple. 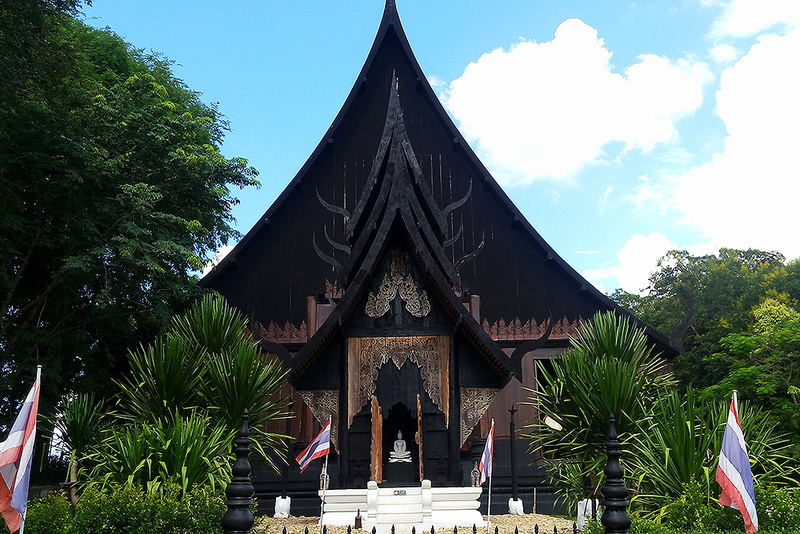 Our next stop was what could be considered the complete contrast of the White Temple, the Black House Museum, also known as Baan Dam. However, the Black House is not a temple nor a religious site, but it is actually a museum. The whole area were much larger than we expected, and we spent over an hour wandering the extraordinary and intricate carvings housed with skulls, animal hides, and other odds. If you are into peculiarity with a touch of eerie, it's definitely worth checking out. Our last stop before we head back to Chiang Mai was the Choui Fong Tea Plantation. It is terraced land with tea of all sorts. It is about 2 hours from Chiang Rai airport, but it is definitely worth the trip there. Other than tea, there are other plantations going on, like some types of berries. I think the terraced lands are such a beautiful landscape of Asia, and I would definitely say that it is a must go. 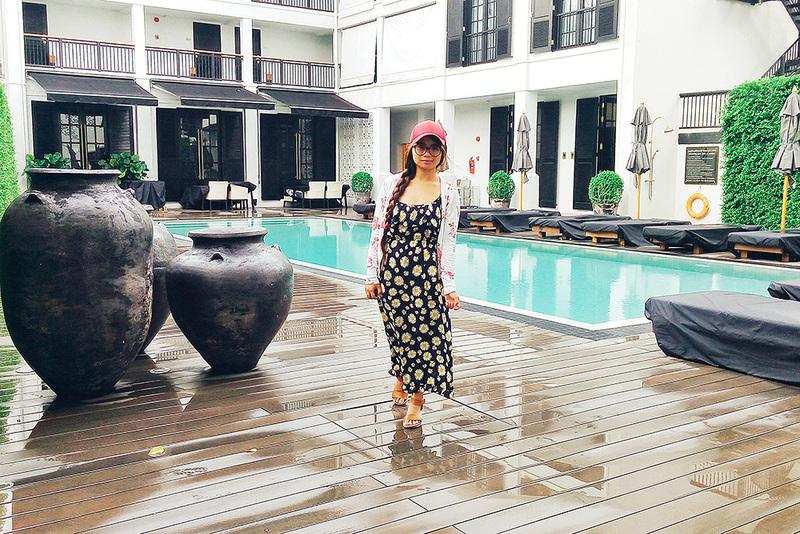 We stayed at Buri Siri Boutique Hotel in Chiang Mai during our trip and would highly recommend it for just a day tour to Chiang Rai then back, or a Chiang Mai city break. The hotel is stylishly posh, boutique, and surprisingly affordable. It only has a few rooms so the service is very personal and the location is fantastic. Our trip from Chiang Mai to Chiang Rai was all arranged by Travel Hub Chiang Mai. Our bubbly tour guide, Ms. Rainbow, and our skillful driver put so much efforts to make the whole trip exemplary. They made sure that we are having a lot of fun, and most of all, they made sure that we are always settled okay. 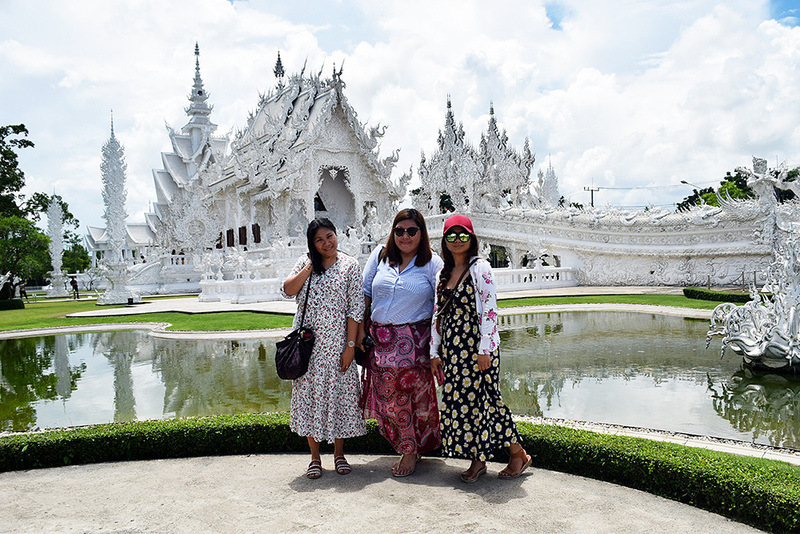 Travel Hub Chiang Mai did an absolute great job for making our whole Chiang Rai tour truly a remarkable and a memorable one, and if I'll go back to Thailand again, I would really love if Travel Hub Chiang Mai will be once more my tour operator. I couldn't recommend them more. For more useful information about the Chiang Mai to Chiang Rai Day Tour visit Travel Hub Chiang Mai. 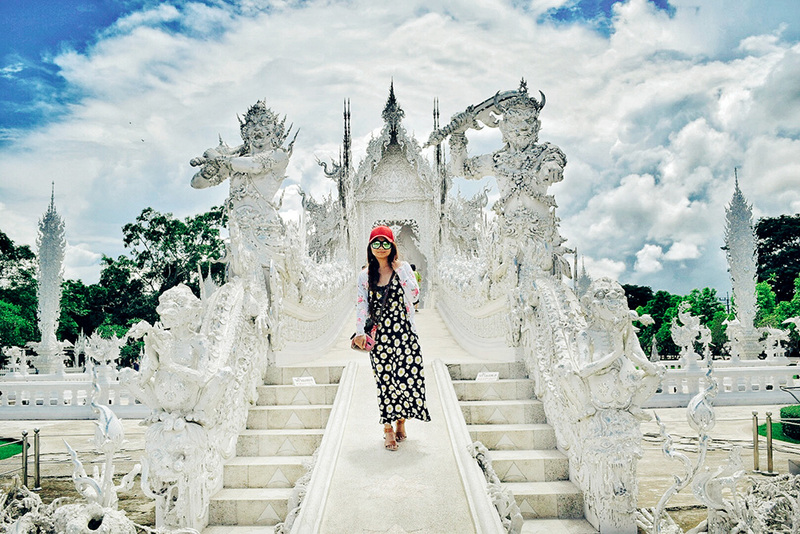 What did you think of my 12 Hours Guide to Chiang Rai? 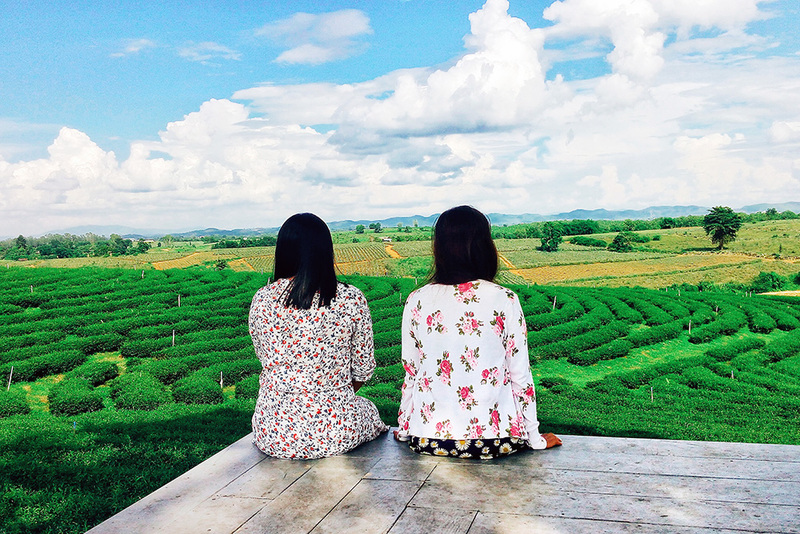 Have you been to Chiang Rai or do you feel inspired to visit? Would you consider booking a Chiang Rai day tour with Travel Hub Chiang Mai? If you like this post do let me know by leaving some love in the comment box below. This blog post has been sponsored by Travel Hub Chiang Mai as part of the #SEAtrip2017 campaign. All recommendations and views are my own.